Opposite to "Plaza de la Aduana," in an elegant Republican three-floor building, you can discover an establishment where sensitivity and inspiration radiate. The Sophia Hotel, comprising 15 rooms, and is an evidence of the magic that this city offers. It is an experience that blends both historical and present times. 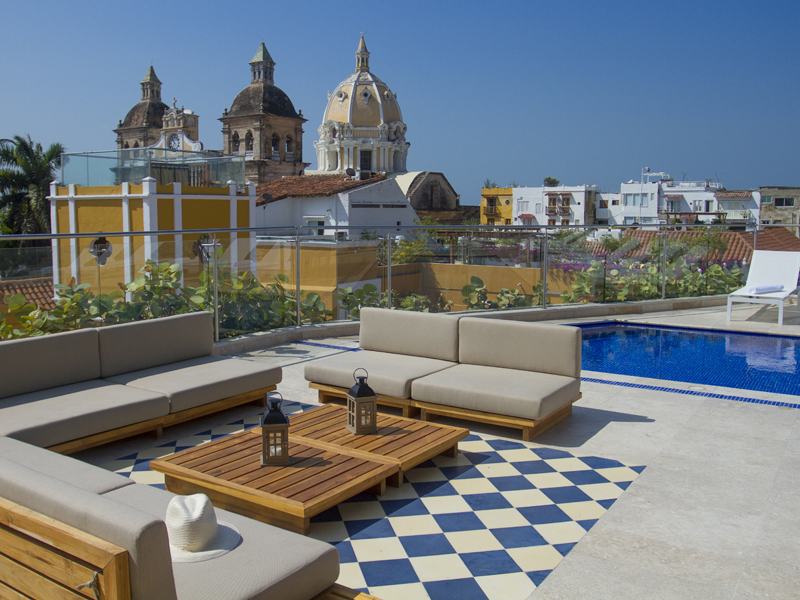 Sophia Hotel offers a Caribbean experience with its typical breakfast from Cartagena in the inner courtyard. From this courtyard, you can pamper yourself with a fine glass of wine or a cup of coffee while you gaze at the "Plaza de la Aduana." The following discounted rates have been negotiated with Hotel Sophia for our guests. Below you will find the rates per night according to different types of rooms. To reserve please send your inquiry via email to Tatiana Orozco at ventassophia@oxohotel.com and reference "Matt & Ximena Wedding" in the subject. The hotel will pre-charge 50% of the total amount to guarantee reservation. The remaining 50% can be paid at the hotel during check-in.